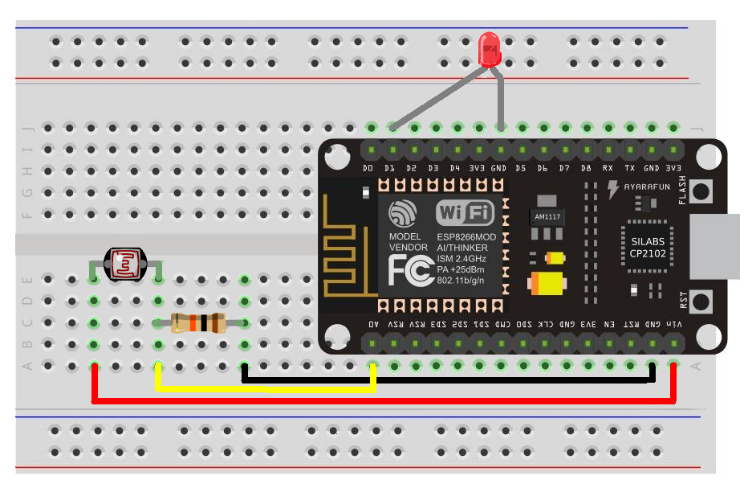 oneM2M demonstration using ESP8266 NodeMCU board and NodeJS application. Lighting control based on luminosity level using oneM2M platform. The arduino source code and required libraries are available on the folder onem2m-device. NOTE about using Eclipse: If you would rather use the Eclipse IDE for your Nodemcu application development there is another Hackster.io project that details how to develop Arduino type projects within Eclipse. If interested the project name is "Using Eclipse Arduino plug-in with ESP8266 NodeMCU board" and can be found at https://www.hackster.io/dallas-onem2m/using-eclipse-arduino-plug-in-with-esp8266-nodemcu-board-cb77ef . Be sure to complete the application Wi-Fi configuration as detailed in step "5.5. Configure the oneM2M sketch" in this document. At the completion of that "how to" and the configuration changes you should be able to continue this project at step 5.9. The “Timer.h” library is available on the zip folder “Timer-master.zip”. Go to Sketch, and then select “include library”. You should see “mydevice1” Application Entity resource with “luminosity” and “led” containers created on the oneM2M web interface. Set the IP address of the oneM2M platform. You can keep localhost if you are running the oneM2M platform and the application in the same machine. You should see “mymonitor1” Application Entity resource created on the oneM2M web interface. If you hide the luminosity sensor with your hand for few seconds, you should see the led switched ON by the monitoring application and vice versa. Long time software engineer, rebooting my skills into the IOT ecosystem. Learning all I can about sensor, microcontrollers, MEAN stack web.